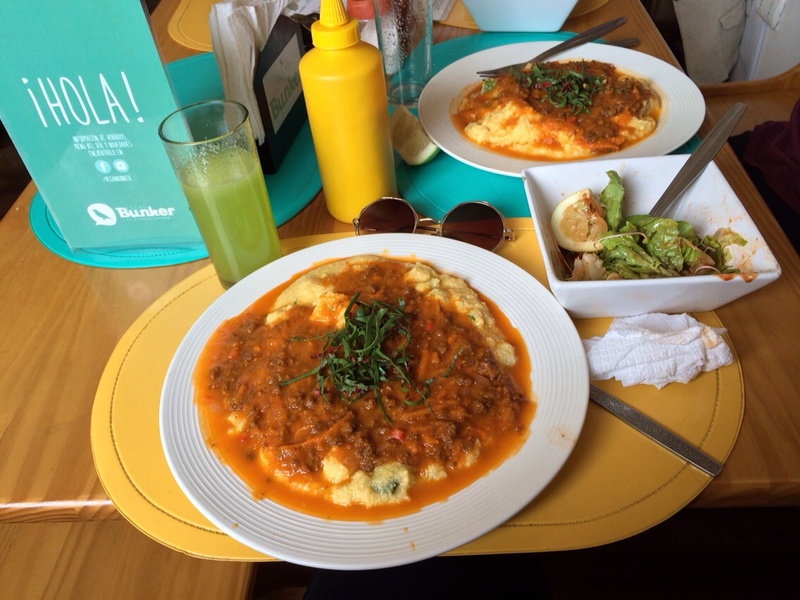 We ate lavishly in Peru. The vegan gods were on our side. We weren’t quite sure if our luck would continue in the neighboring southern country, but we were determined to try. Before entering Chile, others warned us of the costly country. Eating out? Drinking out? All over priced, you’re better at cooking in the hostels and buying booze from the shops. Still we chose to pull up our Happy Cow app in each city to see what is available. 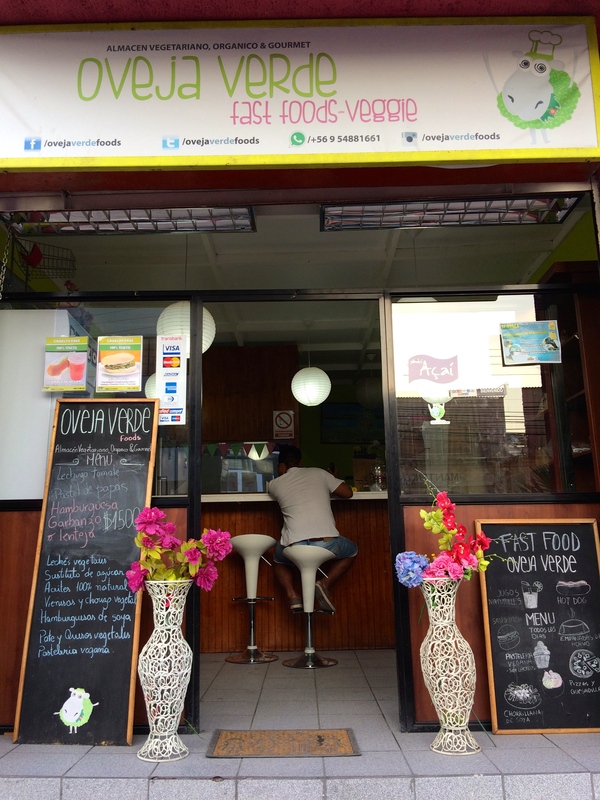 Arriving to Iquique, the surfer/bodyboard paradise to North Chile, we discovered Oveja Verde thanks to Happy Cow. This lovely veggie/vegan shop had lentil and beet burgers the size of your face. Soy hot dogs, vegan cheese quesadillas, pizza, empanadas, and loads more. And it was surprisingly cheap compared to any restaurant in the area. Most days we cooked at the hostels, but on the lazy, maybe hungover days we’d head there for a cheap feast. On our last day of our beach vacay, I decided to cook up some simple veg soup packet I purchased a few days earlier. It turned out to be quite tasty and filling. From that day on Ryan and I were hooked. I don’t even want to know how many Maggi Sopa Caraloitos we’ve consumed (it’s most likely a disturbing number) but for $.50 we’d toss half a bag of noodles in and our bellies would be full and happy on the cheapest meal by far in South America. 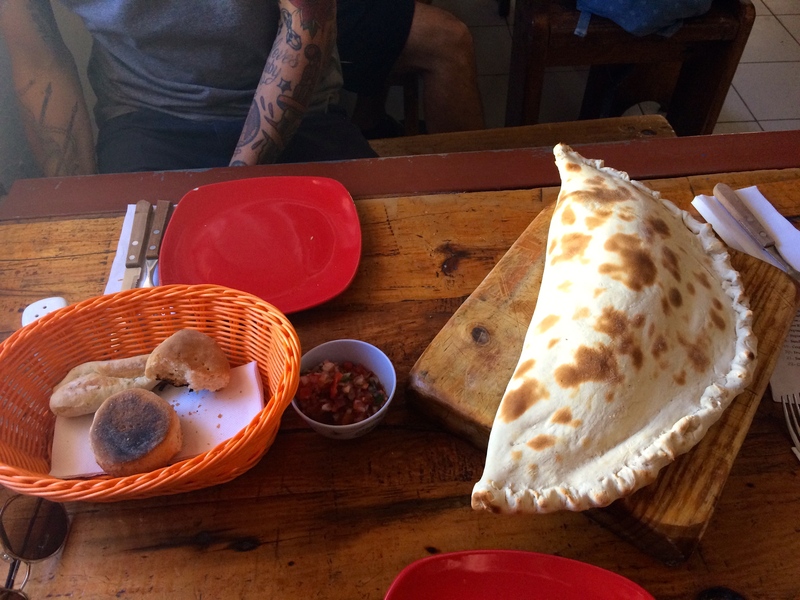 Moving on to San Pedro de Atacama….a small tourist town in the middle of the desert certainly lacks the large supermarkets we were spoiled with in the previous town and we chose to eat out more than cooking in the hostel, but experienced some delicious eats. Our first night we scarfed down veggie tacos after slathering them in guac and hot sauce. Craving a glass of red later that night we popped in to a cute eccentric restaurant called Lola. When reviewing the menu, I noticed the liquor pages were covered up by paper and questioned the bartender. Apparently the town is dry and unless you order food with your meal, liquor cannot be served. It seemed this establishment had gotten in trouble before and had a few more restrictions than most. We ordered a papaya dessert and sipped red wine out of tea cups while the new episode of Game of Thrones played in the background. 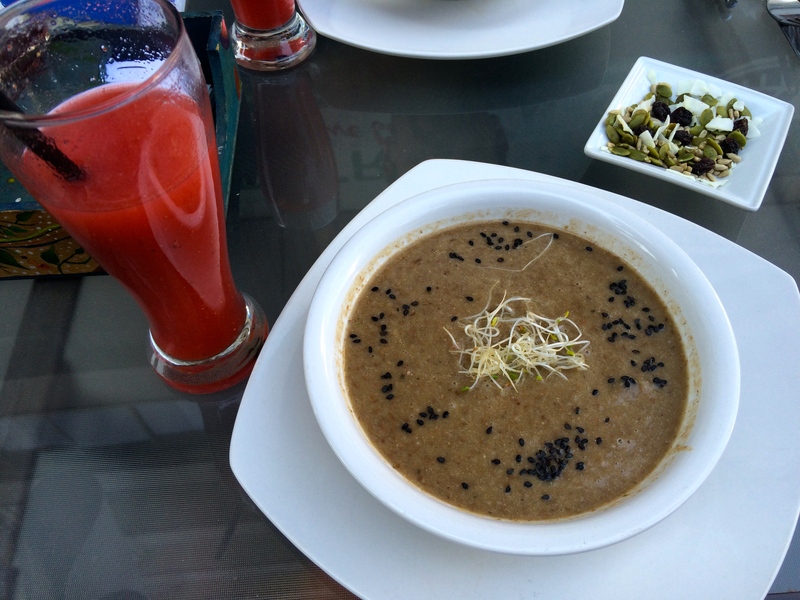 The next day we discovered Estrella Negra, a veggie restaurant with a set menu for $6.000 pesos ($10). Bread, a fresh salad, and an odd mixed onion/potato burger the size of my plate with a side of roasted red potatoes. Our last memorable meal out in San Pedro is pictured below. An empanada the size of a football filled with artichoke, onions, corn, and olives, but unfortunately we needed to add loads of olive oil to make it somewhat tasteful. 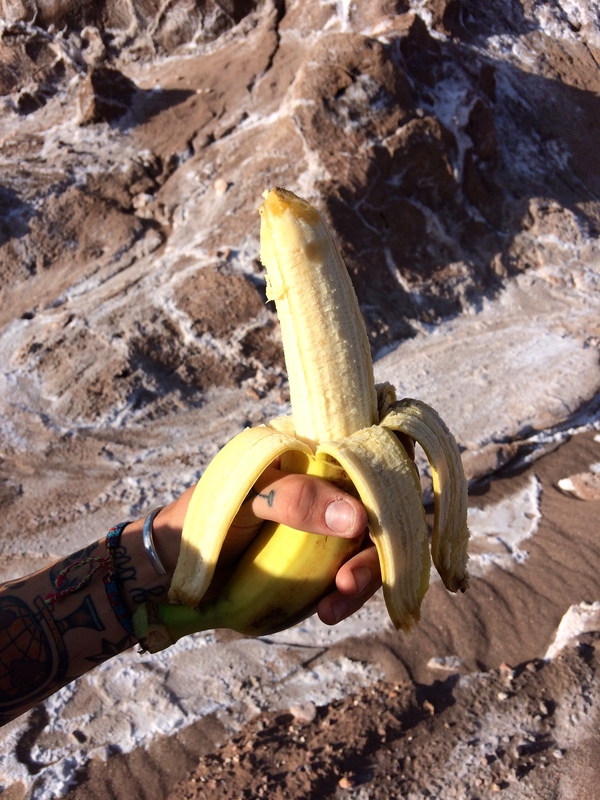 From the desert to the big city, we arrived in Santiago hungry for new exploration. Surely there would be loads of veg restaurants in a city of six million. Our first night we couchsurfed with a guy named Andres and ended up making our special soup delight and planned to visit Happy Cow recommendations once the road to Ryan’s new passport ended. After loads of home cooking at our next couch surfer’s place and a few footlongs at Subway, we finally trekked to a vegan restaurant a few kilometers away. The long walk was well worth it. Below are photos from our feast. 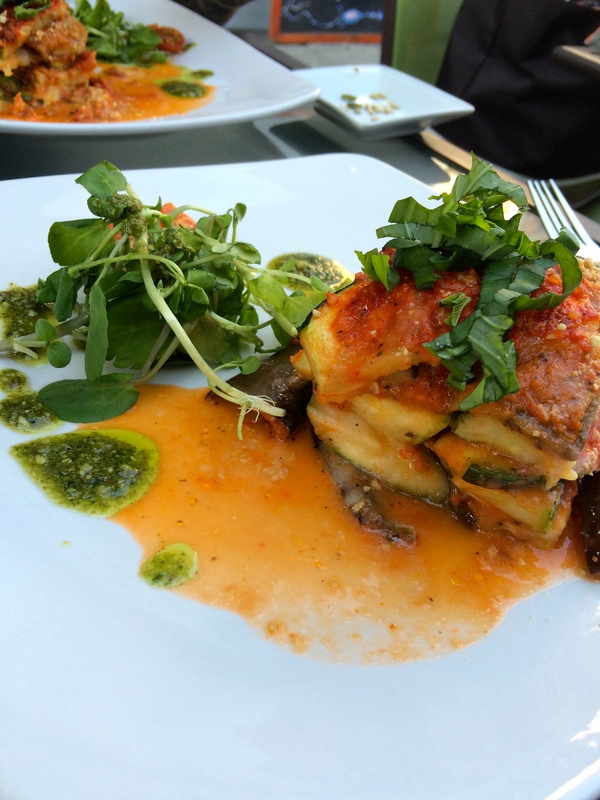 For $8.000 they brought us out a coconut, nut trail mix to snack on along with a strawberry/cinnamon juice, I sucked down in seconds, from there we had lentil soup followed by a raw zucchini lasagna complete with micro greens and just enough pesto to give it that extra touch. Unfortunately no desert, but our choice of freshly brewed coffee [I had an americano] or a tea in which case they brought out a tea box teeming with blends you’ve never heard of. I ended up sitting on their patio for hours catching up on writing because I enjoyed the ambience so much. 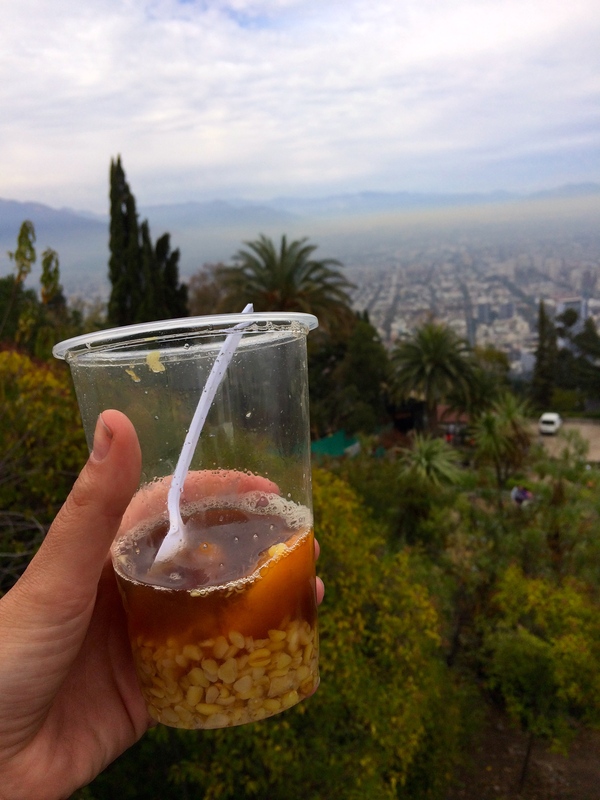 Mote [Chilean dessert] : made from husked wheat, peaches cooked in sugar, water, and cinnamon and refreshing after a tough bike ride to the top of Santiago! We had days to kill in Santiago waiting for the Argentina consulate to approve Ryan’s visa and we decided to hop on a bus to the port city Valparaiso, just two hours east of the capital. A colorful, graffati-covered city that pours over a massive hill and rests on the shores of the Pacific Ocean. We enjoyed climbing up and down the winding town, getting lost in art, and sipping wine on rooftops overlooking the sea. Walking back to the bus station we noticed a large gathering outside a fast food joint and decided to check it out. 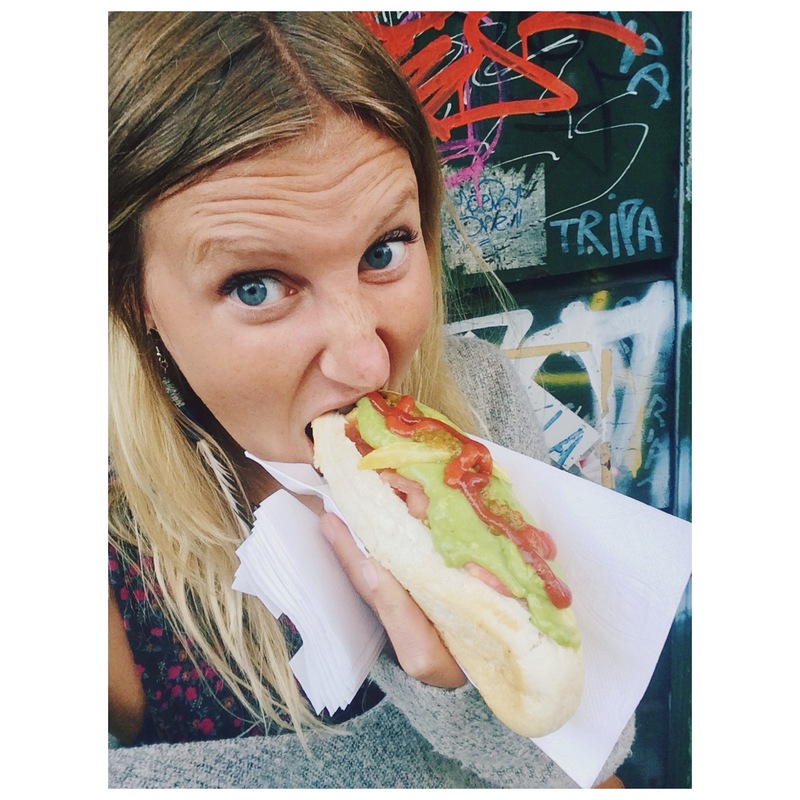 Hotdogs are everywhere in Chile and funny enough they had a soy-dog for us to try. We loaded it with guacamole, tomatoes, pickles, and chili sauce and it was surprisingly decent. One of our last day’s in Santiago we had a mission to find The Vegan Bunker and after almost an hour of searching and being sent in the wrong directions many times, it appeared magically along a hidden street. This tiny cafe had a pastry shelf full of vegan delights, a cheap set menu, and loads of hot dog/burger options. We managed to score the last table by the window and immediately ordered the set menu. A melon juice, build your own salad bar [with every spice and hot sauce you could ask for] and an insanely enormous portion of vegan polenta. A dish I’m not so familiar with but Ryan was ecstatic about. Another set menu that almost sent us in to a coma, but of course we couldn’t leave without indulging in one of the mouth-watering desserts. 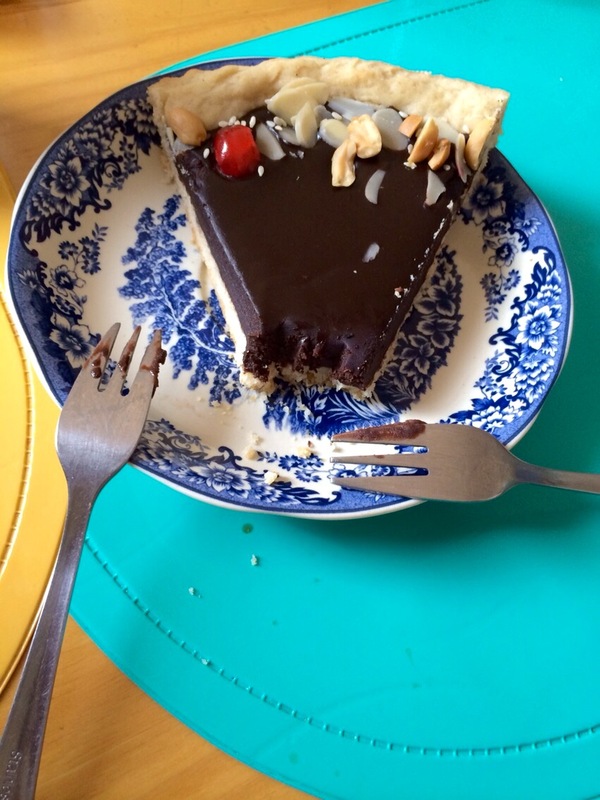 We split a rich slice of chocolate pie and left thanking every employee in the place. 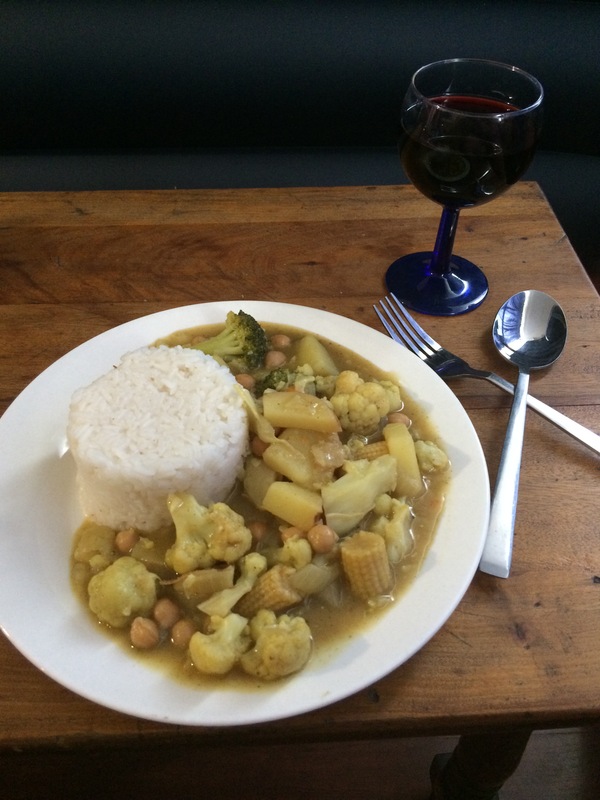 Cauliflower, broccoli, corn, chickpea, potato Curry paired with a fine glass of Chilean Carmen. 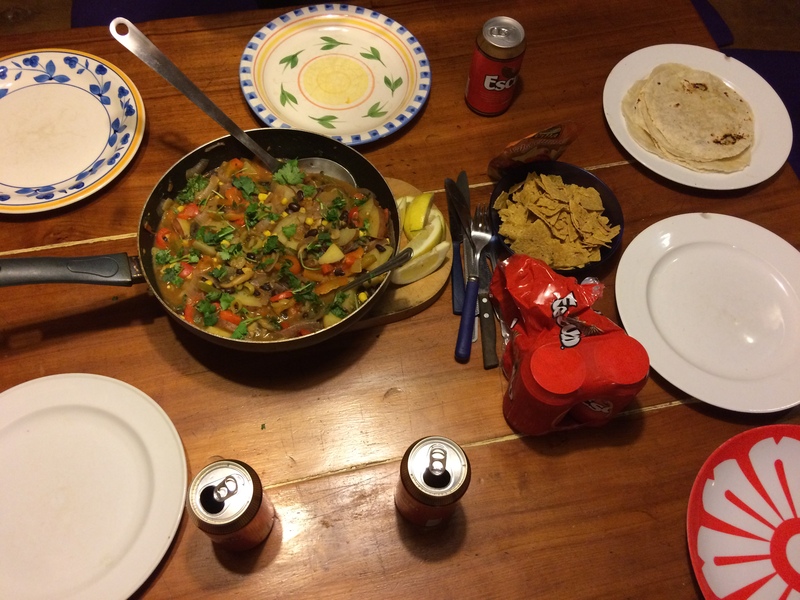 Spicy fajita tacos accompanied with our favorite Chili-lime tortilla chips and Chile’s cheap Escudo beer. He cooked for us and the hostel employees and everyone was full and satisfied. In Pucon we quickly made friends with the hostel employees. 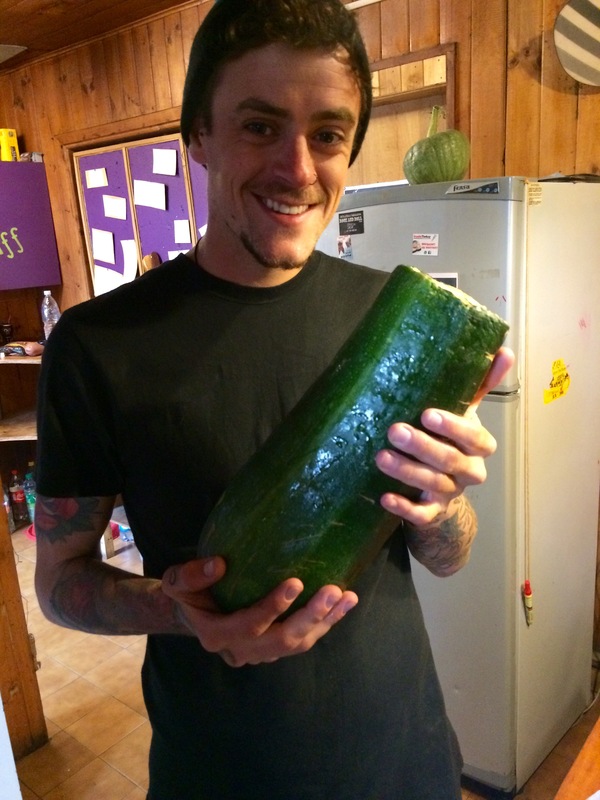 The wonderful hostel owner would often bring gifts from his garden including this crazy, large zucchini. Sadly I didn’t snap a picture from our favorite spot in Puerto Natales, but Mesita Grande is an adorable wood-oven pizza restaurant that almost makes you think you’re in Italy. With one large wooden table for everyone to squeeze on, it’s super easy to make friends with your neighbors while indulging in pizzas you’d been dreaming about and fresh pastas you wonder where their produce comes from. We enjoyed their warm, cozy atmosphere and after our 5 day trek in Torres del Paine we returned ready for more. While sat waiting for our victory meal I noticed a drawing on the chalk board. 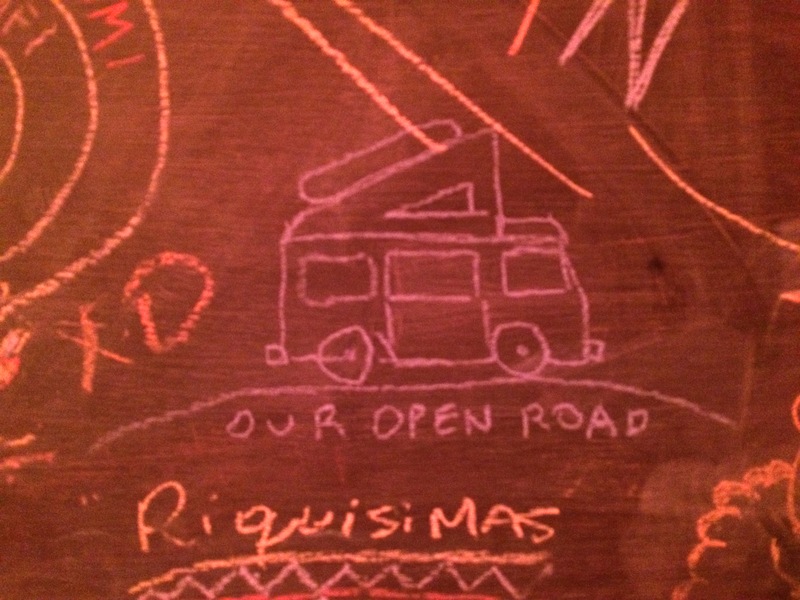 “Our Open Road” with a picture of a tiny van. I have been following this family’s South American adventure on instagram [@ouropenroad] since before leaving on my own trip. This adorable family of four tours the continent in their tiny green van buying handmade goods and selling them via online bazaars. Their photos are incredible and their children are terribly cute. We were on their tail throughout Patagonia, but sadly we didn’t get a chance to say hello! 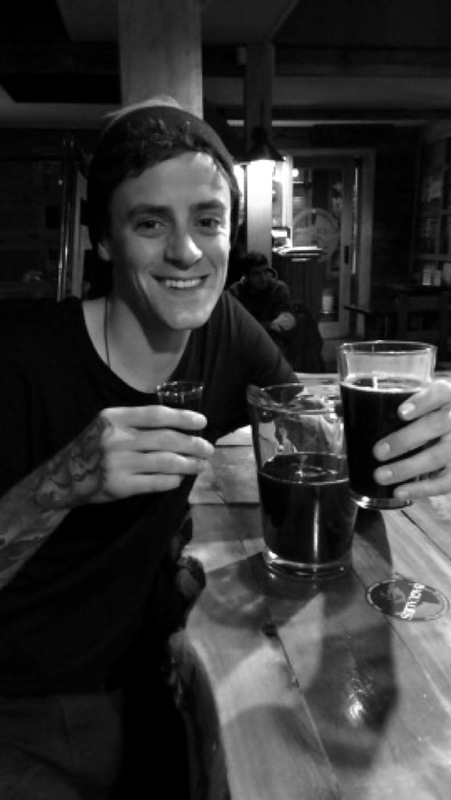 To wrap up, we ate well and cheap in Chile and we enjoyed creating our own dishes [well to be honest Ryan did the cooking, I poured the wine and planned our next move]. We here Argentina is going to be the toughest for us vegans and they can’t even fathom the concept, but we have faith and will be hunting down more delicious eats to share.